About:Chinese legend dates green tea back to 2737 BC. Green tea is currently being studied for its beneficial uses, and as a treatment for a number of different conditions and illnesses. Most of the western world drinks black tea while much of Asia, the Middle East and northern Africa drinks green tea. 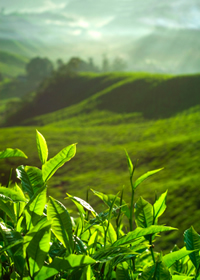 All teas come from the same plant, Camellia sinensis, the different coloring is due to different processing of the teas. Tea Tools: Tea making can be as simple or complex as you desire. The basics are a teakettle to boil water, and a teapot with a lid to infuse the tea. Most teapots have a built in strainer, if not you can infuse the tea in the pot and strain as you pour. There is a whole host of different strainers, from tea balls to open bamboo strainers that float in the cup. Have fun experimenting and finding the right method to fit your lifestyle. The only thing you should avoid is pre-made tea bags. The tea leaves sold this way are not as fresh and generally of an inferior grade, and cost ten times as much per ounce as loose leaf tea. You can purchase empty tea bags made for filling with your own tea, perfect for taking with you to the office or anytime you want to make your brew to go. Start with good quality bulk loose leaf tea - there are countless cultivars and varieties to choose from . Heat the teapot by rinsing out with hot water before infusing your tea. Ayurvedic Medicine Chai, in India refers to black tea, usually served with warming spices like clove, cardamom and milk. Black tea is the national drink of India, and its multitude of health benefits are astounding. Tea Side Effects: Overuse of caffeine can affect sleep. However,the decaffeination process reduces the total catechins in both black and green dry teas. Moderation is key. Stem: Multiple stems that reaches a height of some 3 meters. Leaves: Fresh leaves contain about 4% caffeine. 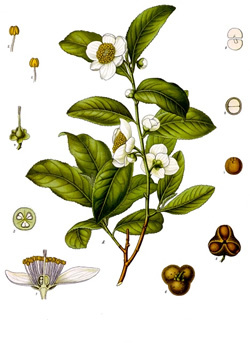 Distribution:Camellia (Chinese )sinensis is native to mainland South and Southeast Asia, but is today cultivated across the world, in tropical and subtropical regions. 7. Huxley R, Man Ying Lee C, Barzi F, et al.. "Coffee, decaffeinated coffee, and tea consumption in relation to incident type 2 diabetes mellitus", (12-2009), Archives of Internal Medicine. 2009; 169: 2053-2063 a strong relationship between drinking coffee and tea and the likelihood of developing type 2 diabetes. People who drink 3 to 4 cups of coffee a day were found to have a 25 percent lower risk of developing type 2 diabetes than those who drank zero to two cups a day. There is good news for tea drinkers as well, those drinking three to four cups daily were found to having an 18 percent lower risk than those who drank none. No firm conclusions could be drawn as to why coffee and tea had a protective effect, though they both contain antioxidants, and other beneficial compounds that be be of benefit. 48. Perrini, Carolyn. Okinawa Tea Company, "L-Theanine: How a Unique Anxiety Reducer and Mood Enhancer Increases Alpha Waves and Alertness. 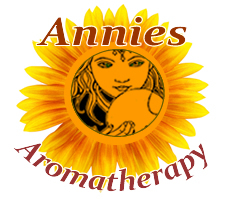 ", : L-theanine, an amino acid component of green tea has been shown in numerous studies to help reduce levels of stress and anxiety. While this effect may be counteracted in those with low tolerance level for caffeine, in many others it seems to a synergistic effect that produces a clear, calm energy. Theanine is sold as an isolated extract in supplement form.